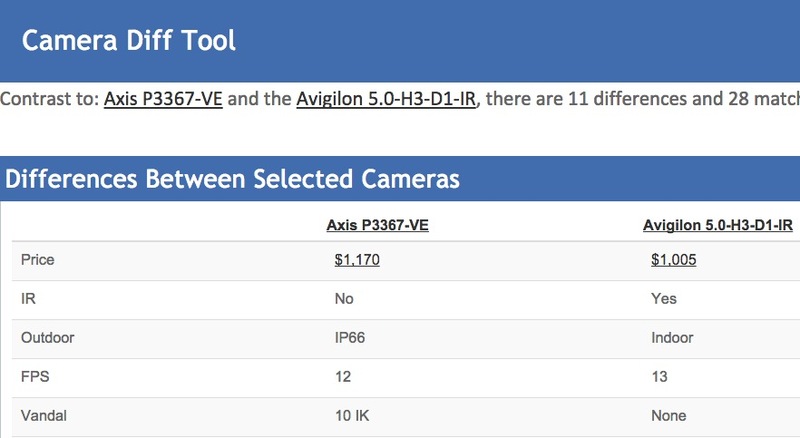 Now you can find the exact differences between multiple camera models you are considering, with the new IPVM Camera Comparison Tool. Don't just guess or try to compare data sheets, IPVM instantly shows what specific features match and differ across 39 categories. Of course, you can compare any model to any other model you desire. Those are just a few as examples. 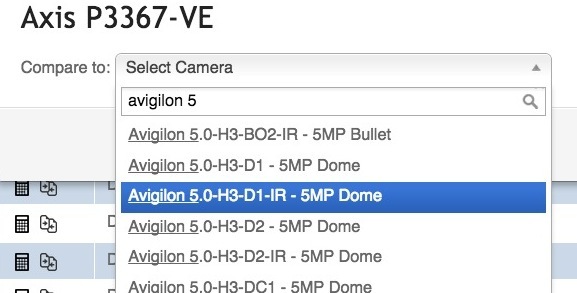 Go to the Camera Finder and try it out yourself.